Personal Finance Are you overspending on shopping? Fashion is the tradition, culture or sometimes both, it is nothing wrong to experiment new ideas to expose your beauty. It is the trademark of civilized society. Clothes are one of the identities to showcase your fashion metaphor. 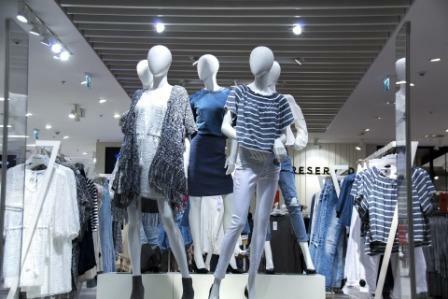 Now, how to choose your clothes is the big question for today’s fashion World. Read on the tips below which helps you to find the right wardrobe to make you look better. First, figure out your needs, spend some quality time in front of the mirror, and understand your physique. Imagine yourself which clothes suits you best and makes you comfortable. It is good to get an opinion from your stylish friends. It will be great if they accompany you while you go for shopping. Choose the budget – Budgeting for your garments is important, because you shouldn’t spend more or end up in worthless products. It is good to plan the budget at the beginning of the year and spread the purchasing throughout the year rather than going for one shot shopping for complete year. This helps you to make use of the discount sale announced by the branded companies at different time-frame in a year. Shop at right time – What is the right time for shopping in a day? I personally feel it is noon after lunch, the reason is simple, you won’t find much crowd in the shop and the salesman or girl can spend more time to help you in selecting right clothes. You too find relaxed while choosing your fashion robe. Listen your friends – Yes, friends are good advisers on your looks. Listen their advice; it is good to make them for the shopping to tell you how you looks in different clothes while you go for trial. Though you get quality advice from friends on your wardrobe selection, you should spend good time in the trial room in front of the mirror. It is important to see how you look in all direction, some clothes make you impressing in front but it will drag down in the back. Don’t be hurry, set enough time for shopping. You can try different wardrobes such as jeans, tees, gown, jackets, tops, shirts etc. Some of the brands have slight variance on the same sizes, you need to check twice. Touch the clothes, it makes the difference. It should fit the weather in your region and it should be within your budget. If you are shopping at the discount sale, be aware of the sizes, color, fitness etc. Because, there might be slight difference from the standard one and that’s the reason it is in discount sale. If it doesn’t fit perfectly, don’t buy it. Finally, you need to fit your ornaments and other accessories to match your outfits. It shows your fashion symbol, so choose it carefully. It is books and plants where I spend too much. Never clothes. Perhaps I should spend more in that area, but books and the garden are a higher priority for me. Fashion can make or create you own, and that's cheap! ...nope, I'm not a shopper, I have too much stuff as it is! It may sound strange, but my best buys were not planned. I just happened to be there at the right time and price. I usually shop in the evening (it's hot and crowded during the day), and try to take advantage of sales. Hello, I only shop when I need something. I am always saving my money. This is a great post, thanks for sharing the info. Happy Monday and have a great new week. Thanks for the information given here. good tips, i am not a shopper, i primarily shop on-line and still don't love that!!! i use coupons for everything...i do love a bargain!!! No more a shophaholic since I become sahm. All budget goes to my children and household. Lol. But I do splurge once in blue moon if I find good bargain. Good advice. I spent more on clothes when I was younger, now not so much. Style isn't a high priority for me anymore. I wear clothes that I like and that are comfortable without caring what the fashion trends are. I tend to spend more on food and garden. Good tips! And you're right about shopping around noon, stores not so busy then. Thanks for the advice!